* In the first Golden Age of Portrait Photography, the great writers, explorers, statesmen and aristocrats of Europe and the world knew that true art took that little bit of time. 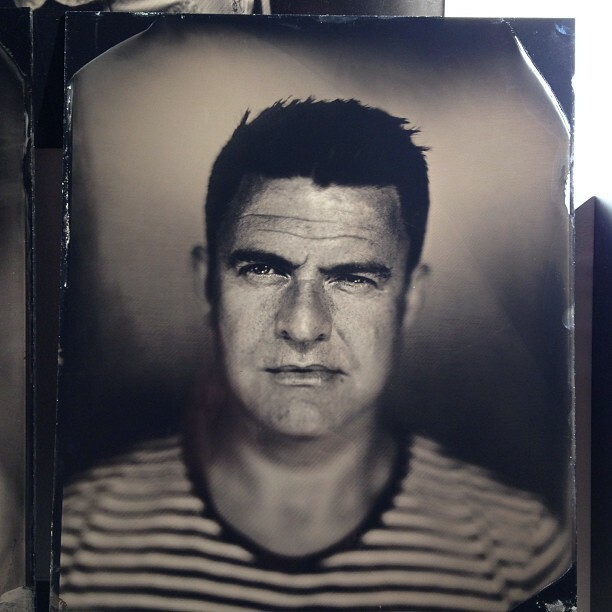 The Wet-plate Collodion process required a few moments of stillness from the subject and a minute or so in the hands of the artist before the shades of dark and light resolved themselves to form something special. And in this age of Smartphones and Instagram, it is easy to forget how taking photographs, and portrait photographs in particular, was once a highly involved, meticulous and mercurial art. Point-and-click photography allows us to create hundreds, even thousands of images which are digitised and disposable, gathering virtual dust in discarded digi-cameras, phones or PCs. It's estimated that around 95 per cent of all the photographic images made in history have been created in the past four years. It's not so much a revolution as starting from Ground Zero. Which brings us to Alex Sapienza and The Analogue Studio on South William Street in Dublin, and his travels back through time. 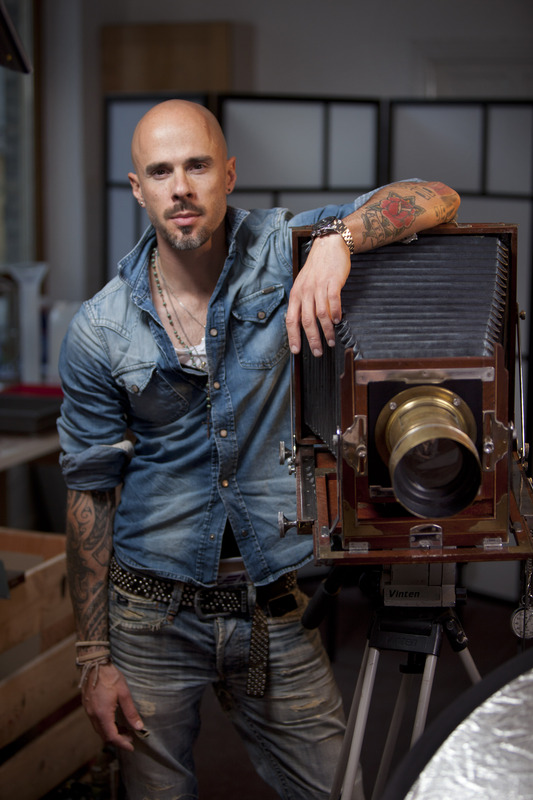 Alex, originally from Rome but now pretty much Irish, set up his studio almost a year ago, setting himself the task of resurrecting the almost lost art of tin-type portraiture, faithfully using the (occasionally potentially lethal) chemical processes and techniques of the 19th century. He has immersed himself in the arcane art of long-exposure, glass-plate and silver-nitrate, exposing the image for several seconds onto a large glass plate, dipping the plate into a chemical bath (chems include arsenic, not easy stuff to handle) and then using liquid silver to print the image. Alex has resurrected the techniques last used in Dublin when James Joyce was sitting for his iconic, first portrait as an artist. And earlier, when he was just an six year old boy in a sailor suit. 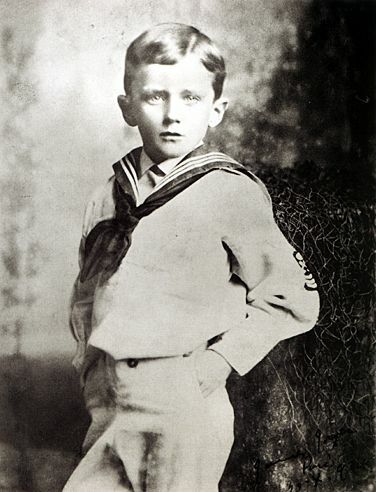 Joyce in fact wrote about the famous Dublin portrait photographer, James Lafayette, in Ulysses, referring to the glass-plate process in poetic terms, noting how “...the inspired pencil of Lafayette has limned for ages yet to come”. Lafayette photographed the British royal family and the greatest Irishmen and women of the age. But the coming of the Kodak camera saw glass-plate superseded by new techniques. When his studios finally closed in the early 1950s, thousands of his unique glass-plate negatives were sold off to be used in suburban glass-houses. For years afterwards, visitors to suburban Dublin gardens would see ghostly Victorian faces peering from underneath the moss and rain-drops. 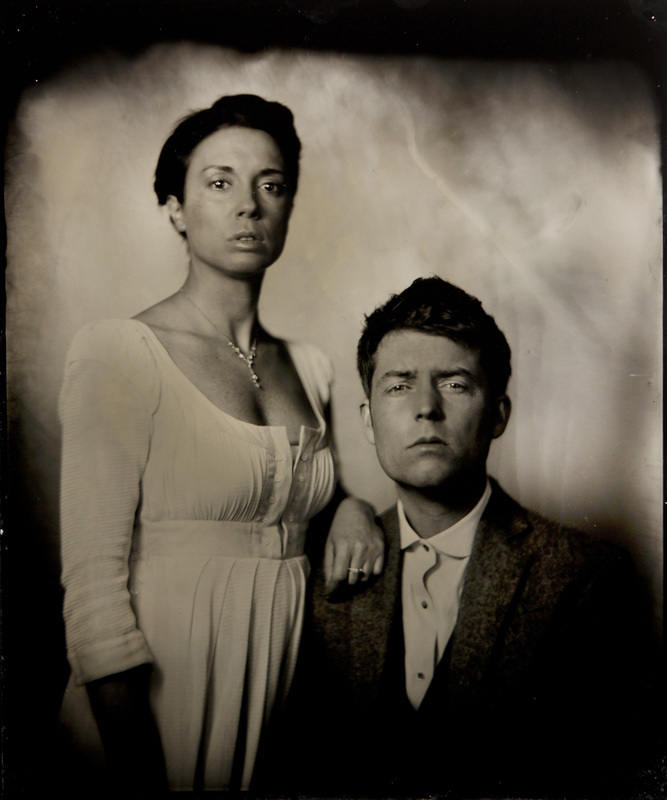 Now, after almost 100 years, commercial glass-plate portrait photography is making a return to Dublin. Alex in the the Analogue Studio offers clients the chance to sit for a unique, hand-developed photograph on glass or aluminium panel. After your sitting, you can watch as the image appears magically on the glass plate (one of the differences with wet-plate is that the image develops in the light, not in a dark-room). I think the technique captures something that you won't see in a lot of modern photography - especially camera-phone snaps - the fact that the face must remain still for three,four or five seconds means that you will see something of the soul at rest. And here's a short vid in which Alex explains the entire process.... it's well worth a look.